United Tri State Maintenance Co.
TH Remodeling & Renovations, Inc. Comment: I would like to get an estimate for getting a new window installed. Comment: 3 broken window panes that need replacing (in existing windows) and several broken/destroyed screens that need to be replaced too. We have a son with severe autism who is very rough and has broken all of this. So we are also interested in knowing if there is anything stronger than a regular window pane, as well as possibility of a commercial grade screen for certain windows so he can't break them again. Comment: Replace one 25.5" W x 39" H screen in screen door. Saddle Brook Window Replacement Companies are rated 4.60 out of 5 based on 1,691 reviews of 33 pros. 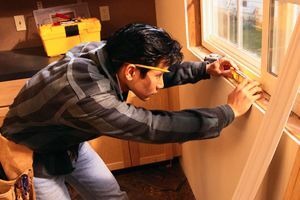 Not Looking for Windows Contractors in Saddle Brook, NJ?